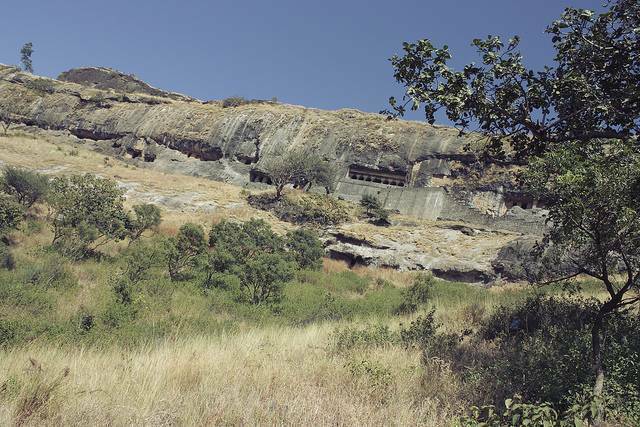 Junnar caves are a group of caves and Buddhists rock cut temples located near Pune, dating back to 2nd and 3rd century BC. Situated on the laps of Sahyadri Range, there are over 200 caves individually rock cut and spread over four hills within the Junnar region. Some of such cave temple groups are Tuljalena, Manmodi, and Shivneri etc. Among which the group of 40-60 cave temples termed as Lenyadri Caves are much popular and largest one. Chaitya hall of each caves are most attractive feature. Chaitya Hall of Tulija Lena cave is very spacious and peculiar when compared with other groups. The Vihara of Ganesha Lena cave has a number of small cells where Buddhist monks stayed and meditated in those days. Chaitya Hall is also found there.